We are better together. No matter what comes, our love can endure forever. 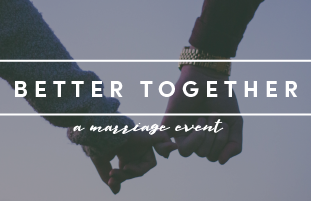 If you loved Date Night last year come experience Better Together Marriage event on Friday, February 15 & Saturday, February 16 2019. This will be a special time to enjoy with your spouse. You will have a table for two, prizes, pour-over coffee and SO much more! You don't want to miss this special marriage event! The first 30 couples to register will be entered to win free tickets to this event! The cost is only $90 for the entire weekend! This will include Date Night experience, meals, conference sessions, and conference booklet.